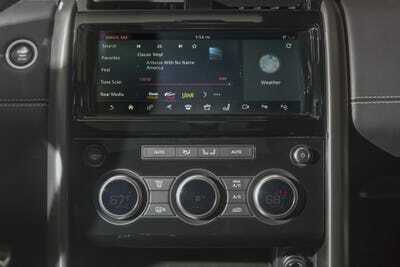 Benjamin Zhang/Business InsiderOur Jeep Grand Cherokee Summit test car. Jeep and Land Rover are two of the most experienced brands in the world when it comes to building SUVs. With the Jeep Grand Cherokee and the Land Rover Discovery, car buyers can get a dose of rugged off-road capability with everyday luxury. At the end of the day, the Land Rover Discovery’s modern design and superior driving dynamics came out on top. Jeep and Land Rover. Few can rival the duo when it comes to building rugged SUVs. But with the SUV market surging, everyone is jumping into the pond. As a result, that pond is quickly filling with posers – passenger car-based crossovers masquerading as the “real deal.” Let’s just say you might not want to take one of these vehicles down a rocky trail. Fortunately for the off-roading faithful, the Jeep Grand Cherokee and the Land Rover Discovery aren’t just surviving. They are thriving. 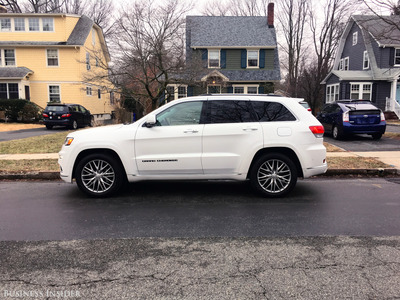 The current fourth-generation Jeep Grand Cherokee has been a critical and sales success since it debuted in 2011. It’s widely considered to be the best and most complete vehicle to ever carry the vaunted Jeep badge. 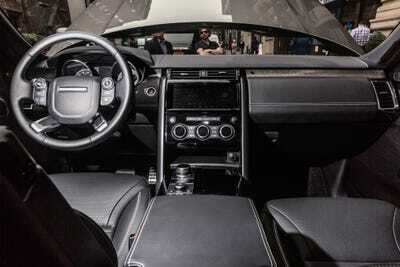 On the other hand, Land Rover’s fifth-generation Discovery arrived new for the 2017 model year. It’s been a solid hit for Jaguar Land Rover’s burgeoning lineup of premium SUVs. 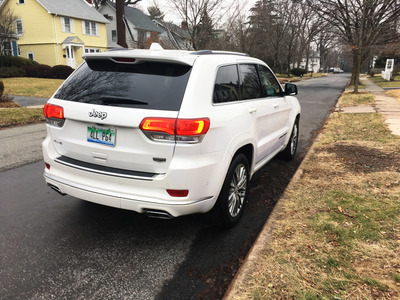 Read more: We drove a $US40,000 Jeep Cherokee SUV to see if the American icon is still one of the best in the business – here’s the verdict. 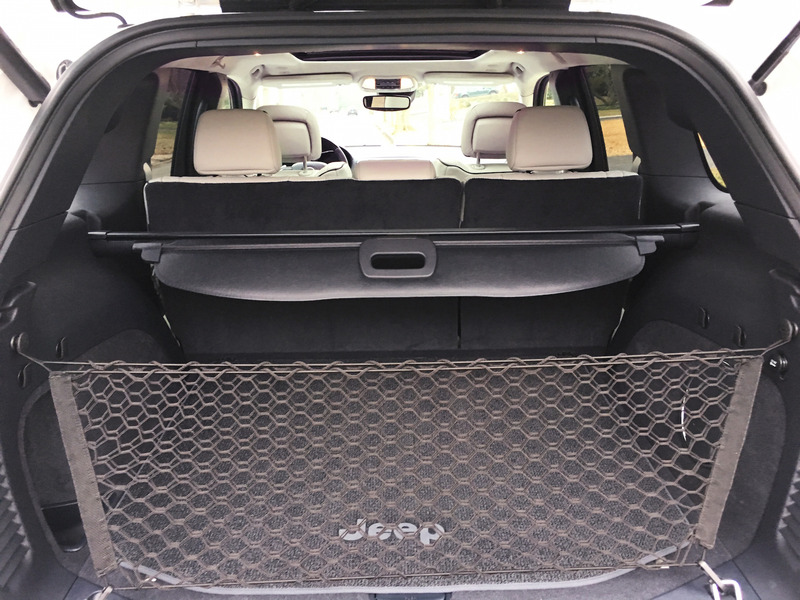 With the Disco and the Grand Cherokee, off-road ruggedness is also complemented by a healthy dose of luxury, which is becoming more and more prevalent these days. After all, the vast majority of these SUVs will never see anything more rugged than an unpaved driveway. Up first is the Jeep Grand Cherokee. Our test car was a posh Summit edition. 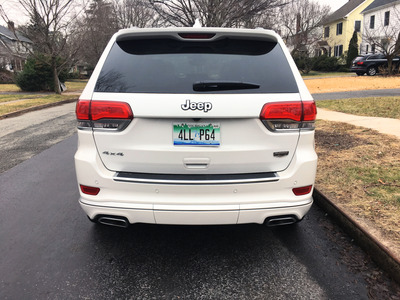 It’s one of the 10 trim levels offered by Jeep. The base Grand Cherokee starts at $US30,695, while our luxurious Hemi-powered Summit edition with four-wheel-drive starts at $US57,790. In case you’re wondering, the top-of-the-line 707-horsepower Trackhawk starts at an eye-watering $US86,000. 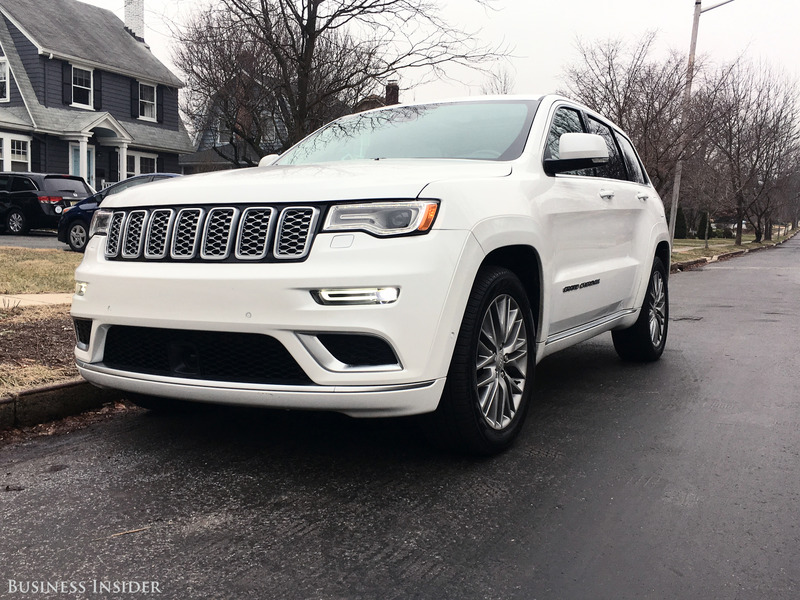 Aesthetically, the Grand Cherokee is quite the looker. Seven years in, the styling remains fresh and modern. 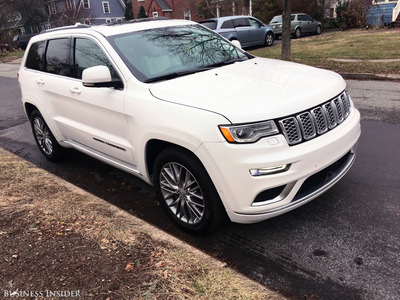 Inside, the Grand Cherokee Summit’s cabin is well-appointed, but not quite luxury car-refined. 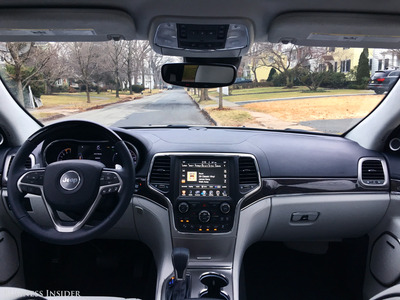 Overall, the material quality was quite good — particularly the Nappa leather steering wheel, the Laguna leather seats, and the wood accents that adorn the cabin. 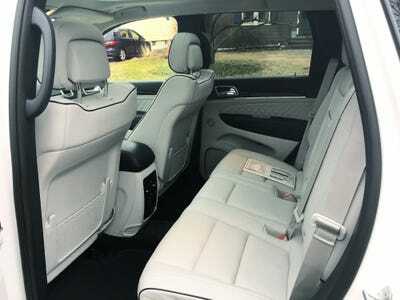 The Grand Cherokee’s front leather seats stood out for their comfort and plushness. Things aren’t too bad out back, either. There’s more than enough room to fit two adults comfortably. 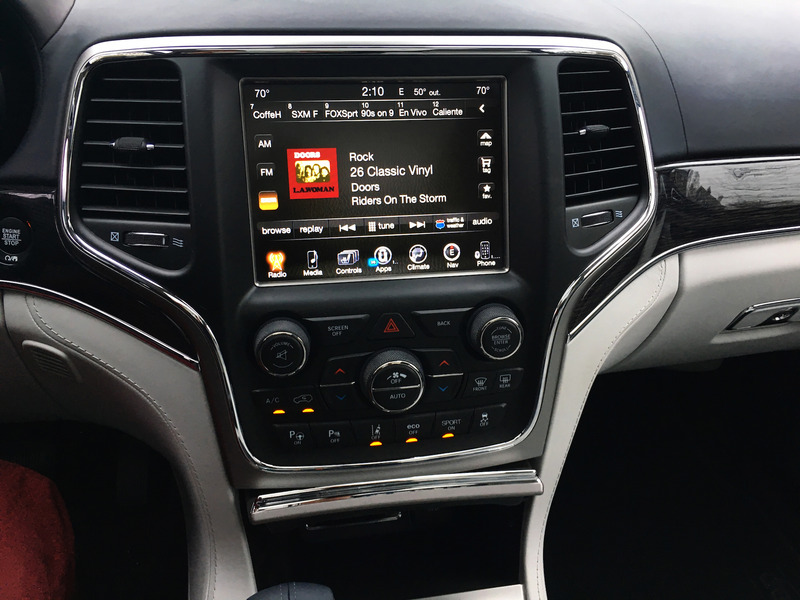 Our test car came with an 8.4-inch touchscreen running Fiat Chrysler’s UConnect infotainment system. We have mixed feelings about UConnect. The system is crisply rendered and quick to react. However, its cluttered interface makes it more difficult to use than it should. Lift up the tailgate, and you’ll find the 36.6 cubic feet of cargo room behind the rear seat. Fold them down, and the cargo space expands to an impressive 68.3 cubic feet. Under the hood, our Summit tester came with FCA’s legendary Hemi V8. This time it was a 5.7-litre unit, producing a healthy 360 horsepower. It’s paired with a capable, eight-speed ZF automatic transmission. Base Grand Cherokees come with FCA’s highly rated 295-horsepower, 3.6-litre Pentastar V6, while those looking for some more oomph can also go with a 475-horsepower Hemi V8. And there’s the Grand Cherokee Trackhawk. 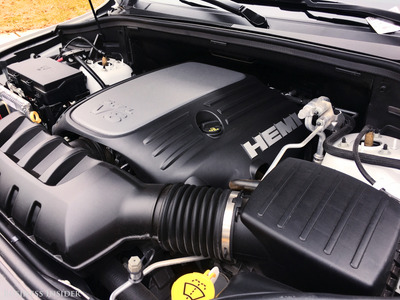 It’s powered by the Hellcat’s 6.2-litre, 707-horsepower, supercharged Hemi V8. 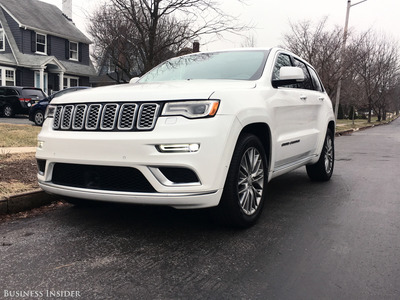 With a Hemi under the hood, the Grand Cherokee delivers solid punch off the line. The muscle car rumble is intoxicating, evoking the heyday of American muscle. According to Car and Driver, the Grand Cherokee can sprint to 60 mph in just 6.5 seconds. One complaint we did have involved our test car’s optional Quadri-Lift II air suspension. In addition to spoiling the ride quality, the suspension’s shortcoming also detracts from the premium experience the rest of the vehicle so successfully conveys. Our test car came equipped with Jeep’s Quadra-Trac II four-wheel-drive system and Selec-Terrain traction management system. However, we were not able to properly test the system off-road. And here’s the new kid on the block: the new, fifth-generation Land Rover Discovery. 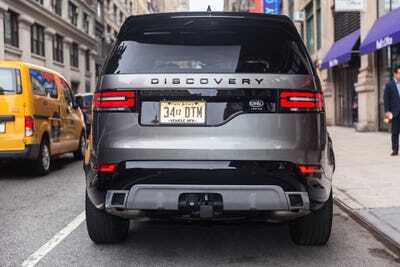 It marks the first complete overhaul of the Discovery in a decade. The aluminium-intensive Discovery is roughly 1,000 pounds lighter than its predecessor. The base Discovery starts at $US52,090, while our top-spec HSE Luxury test car starts at $US65,490. 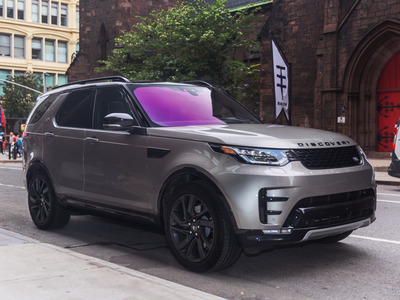 This time around, Land Rover design boss Gerry McGovern added some curves to the boxy look that has defined the Discovery for the past three decades. 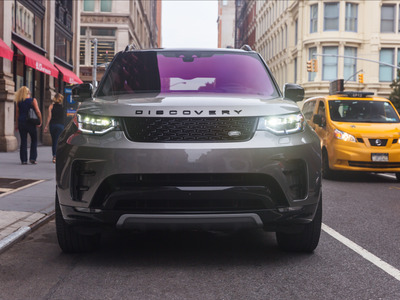 In the looks department, the Discovery is sleeker and much less conventional than its predecessors — and the Grand Cherokee, as well. 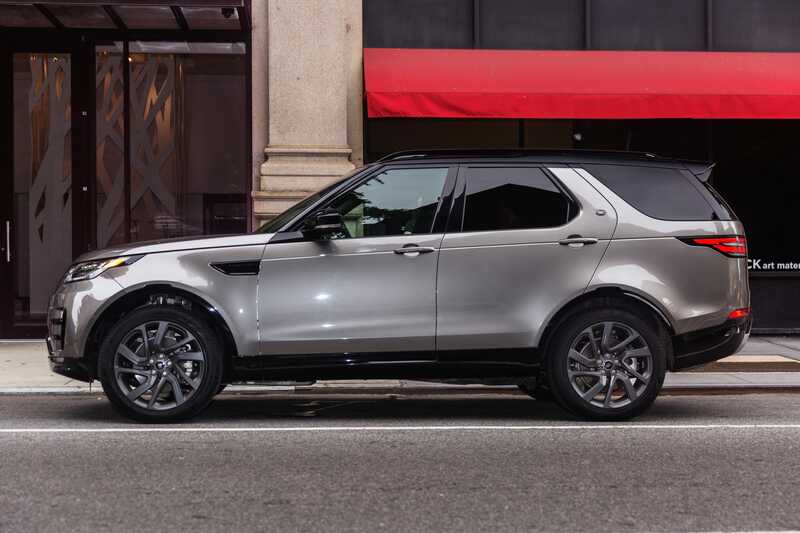 Inside, the Discovery effortlessly blends style with utility. The high-quality interior materials look like they are ready to take on Mother Nature, and the gloss-black accents inject an extra dose of panache. We found the Land Rover’s black Windsor leather seats to be exceptionally comfortable. The Disco comes standard with seating for five, but our tester came with the optional power third-row seat. 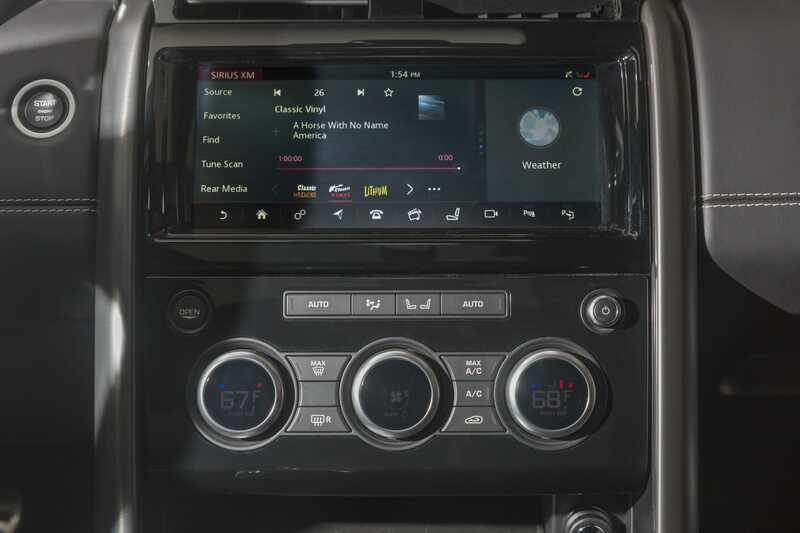 The Discovery’s center stack is dominated by a 10-inch touchscreen running the Jaguar Land Rover’s new InControl Touch Pro infotainment system. We found the JLR’s new system really easy to use. It’s beautifully rendered, and its menus are intuitively located. However, it’s also one of the more fragile systems we have come across in recent years. The system’s satellite radio feature failed with my colleague Matt DeBord at the wheel. We experienced the same issue with the system in a Jaguar F-PACE. According to the manufacturer, some of the software bugs in the system are being worked through. 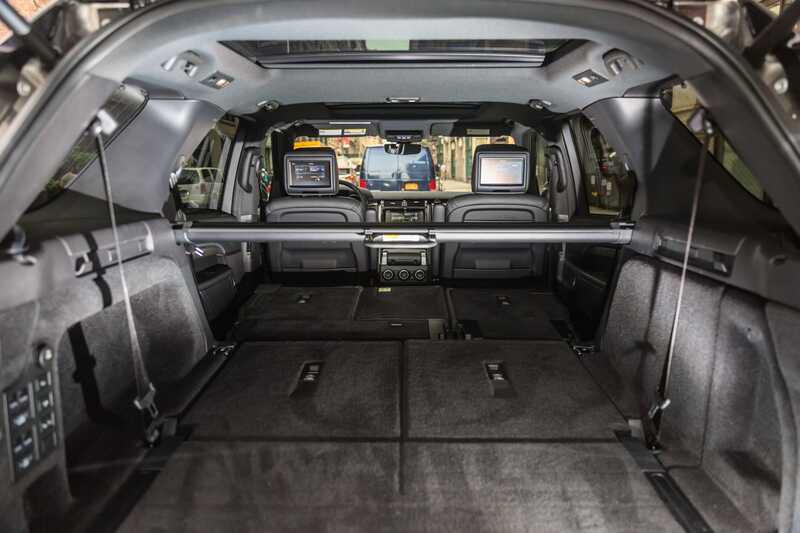 Fold down the third row, and the Discovery delivers 40 cubic feet of cargo space. Fold down the second row, and that figure jumps to 77 cubic feet of cargo room. 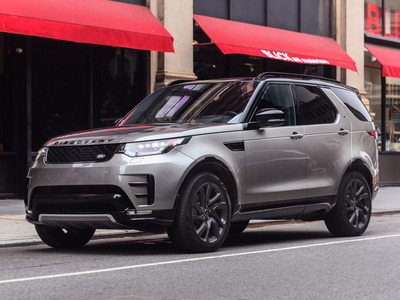 To help make loading easier, Land Rover’s adjustable air suspension will even dip the rear end of the Discovery to reduce the amount of work you have to do. Our top-trim HSE Luxury test car came equipped with a 340-horsepower, 3.0-litre supercharged V6. Like the Grand Cherokee, it’s also paired with an eight-speed ZF automatic transmission. The supercharged six is the most powerful engine offered in the Discovery at this time. Fortunately for us, it’s an absolute gem of a motor. Over the years, it’s powered everything from Jaguar F-Type sports cars to the company’s F-PACE SUV. Each and every time, the supercharged six’s strong and smooth power delivery helped make for an exceptional driving experience. 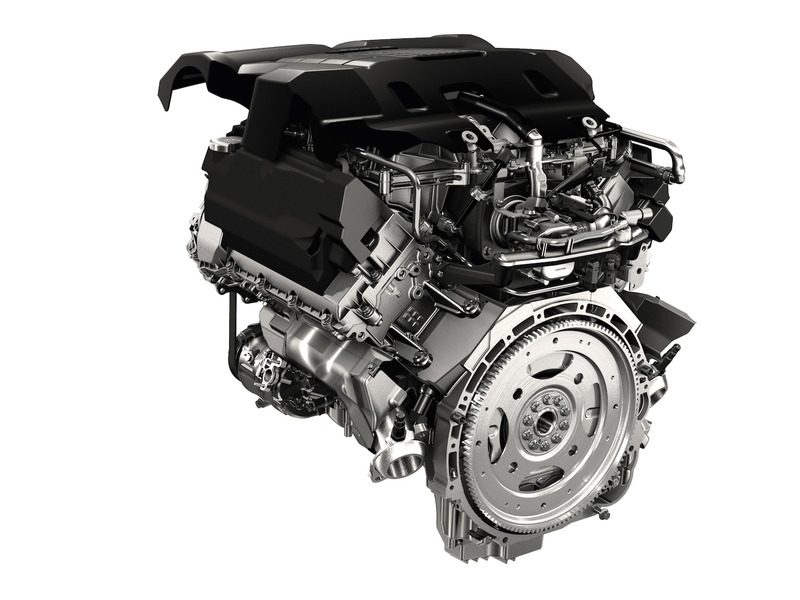 Those wanting some extra fuel economy and low-end grunt can opt for a 254-horsepower, turbocharged diesel V6. On the road, the Discovery’s easy-going demeanour is almost car-like. It’s something quite difficult to pull off in a rugged SUV with legit off-road street cred. 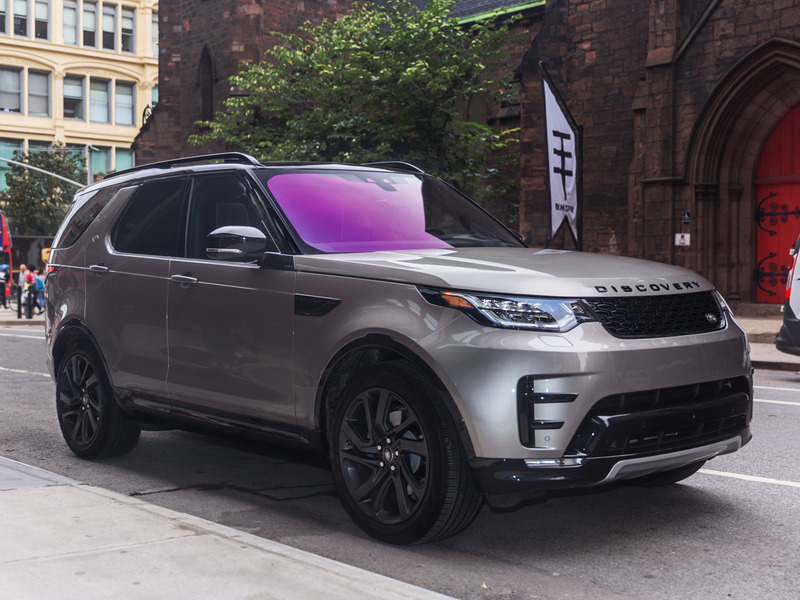 In fact, Land Rover claims it can hit 60 mph in just 7.1 seconds – not far off the time posted by the smaller and more powerful Grand Cherokee. However, the Discovery is far from a performance machine. With that said, the overall driving experience is very pleasant. The cabin is quiet and refined, while the ride manages to be supple without feeling sluggish. The winner is the Land Rover Discovery. As good as the Jeep may be, we found the Discovery to be a better and more complete package than the Grand Cherokee. 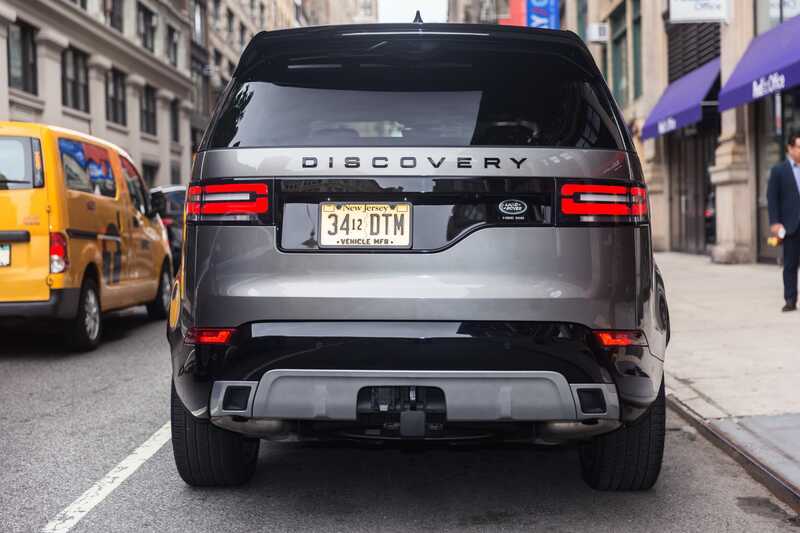 The Discovery’s modern design and packaging, along with its superior on-road dynamics, make it the clear winner. We do recognise that the Discovery is less powerful and more expensive than the Grand Cherokee Summit we tested. However, it should be noted that the Discovery performed just as well as the Jeep when it came time for highway on-ramp acceleration. In addition, it delivered a more nimble in-town driving experience and a better ride at high speeds. The Discovery’s large size and available third-row seat give it an edge in terms of passenger- and cargo-carrying ability. The Grand Cherokee is still a very good buy. With that said, the Jeep Grand Cherokee is really good. The Grand Cherokee’s big advantage is the fact that Jeep offers its flagship model in such a large variety of trim levels. As a result, those looking for a base, no frills mid-size SUV may find the $US30,000 Grand Cherokee Laredo more appealing than a pricier Land Rover. On the other end of the spectrum, there’s the 707-horsepower, $US86,000 Trackhawk. You’d have to pony up more than $US113,000 for a Range Rover Sport SVR to get that kind of performance from Land Rover.